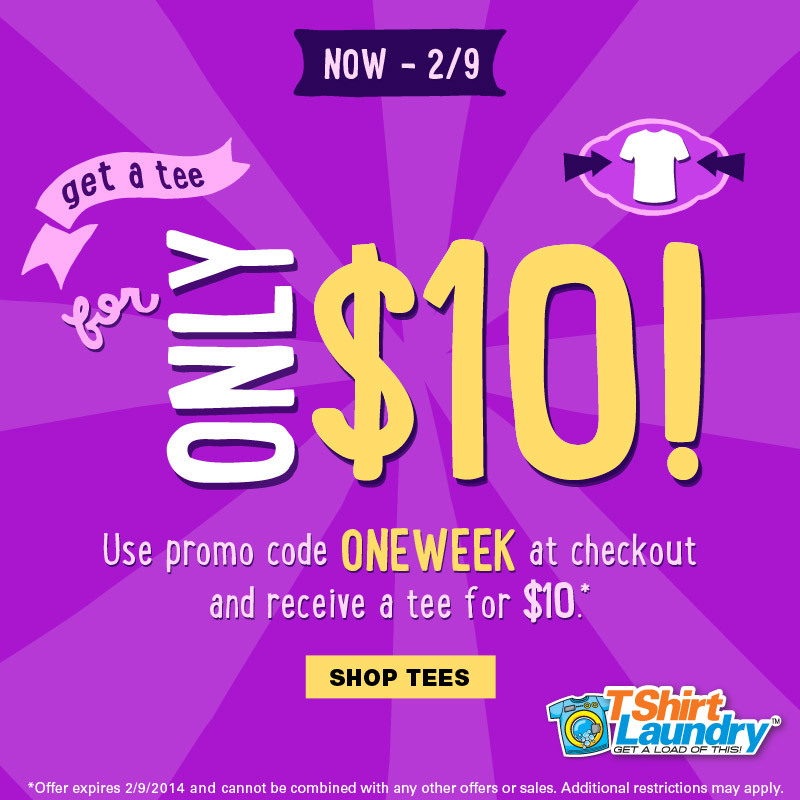 Tshirt Laundry: $10 Flash Sale - Blog @ That Awesome Shirt! Did you hear the news? We're offering $10 tshirts this weekend over at Tshirt Laundry! Starting tomorrow, Friday, February 7, use the promo code at checkout and you'll score a $10 tee. Since Valentine's Day is only a week away, spread the love. Starting TOMORROW (7th of February). Expires 9th of February, 2014.